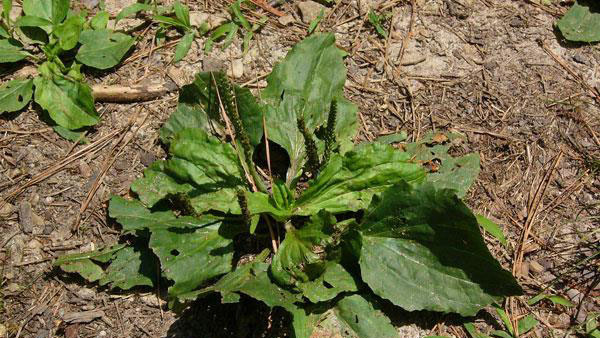 Broadleaf plantain is very similar to blackseed plantain. 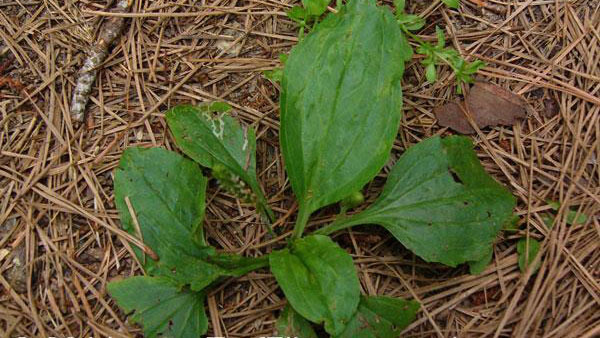 Blackseed plantain leaves are less waxy than those of broadleaf plantain and mostly lacking in hairs. 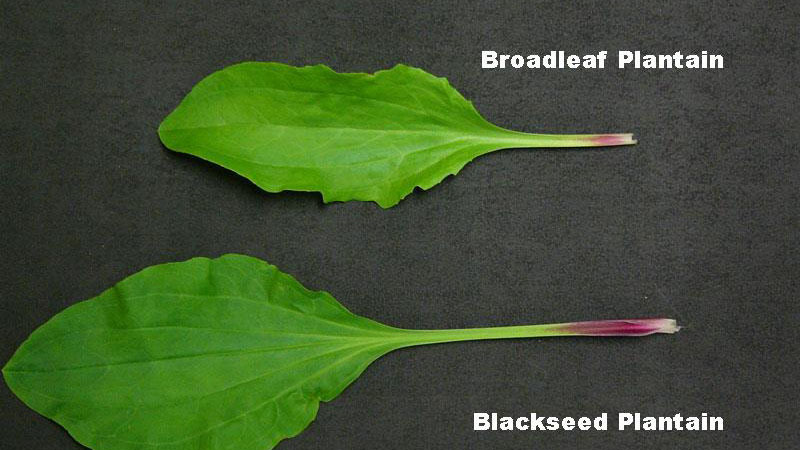 The petiole of blackseed plantain is frequently red-tinged at the base, while that of broadleaf plantain is usually not. Precaution and Remarks: Same turf tolerances and uses as [2,4-D amine + fluroxypyr + dicamba] in addition to centipedegrass. Only spot treat St. Augustinegrass when temperature exceeds 80 degrees F. Do not apply more than two applications per year totaling 3 pints per acre. For non-turf areas, rate can be increased to 2 to 5 pints per acre. Application can be made to grass seedlings after second mowing and to newly sodded, sprigged, or plugged grasses 3 to 4 weeks after operations. Sod farm rates include 1.25 pints per acre for creeping bentgrass, 2 to 3 pints per acre for all other cool season grasses listed on label and 1.5 to 1.8 pints per acre for all warm season grasses listed on label. Figure 1. 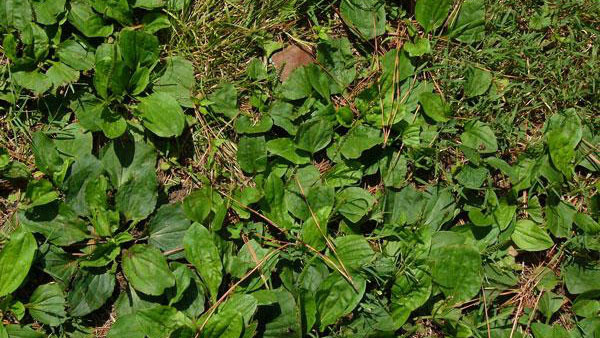 Broadleaf plantain growth habit. Figure 2. Broadleaf plantain growth habit. Figure 3. 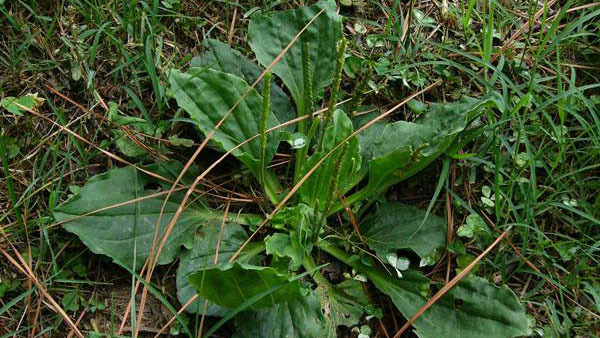 Broadleaf plantain growth habit. Figure 4. Broadleaf plantain growth habit. Figure 5. 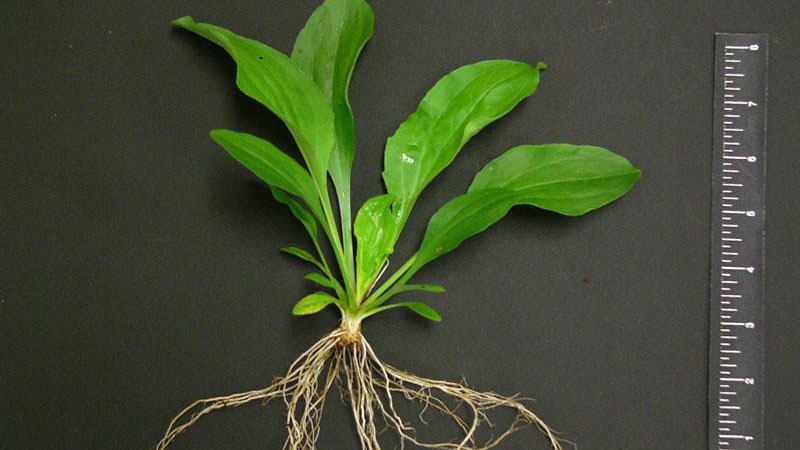 Broadleaf plantain growth habit. Figure 6. 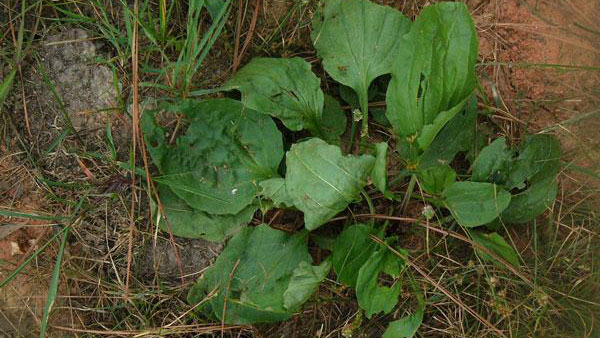 Broadleaf plantain growth habit. Figure 7. Broadleaf plantain growth habit. Figure 8. 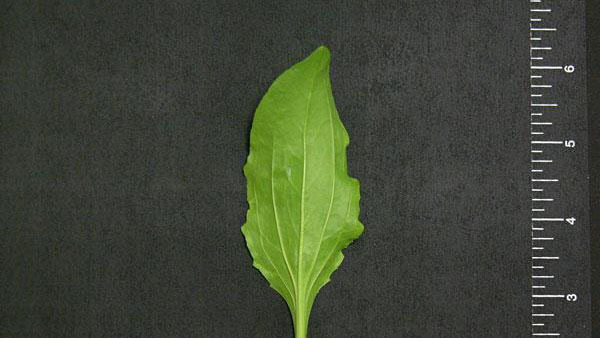 Broadleaf plantain leaf shape. Figure 9. 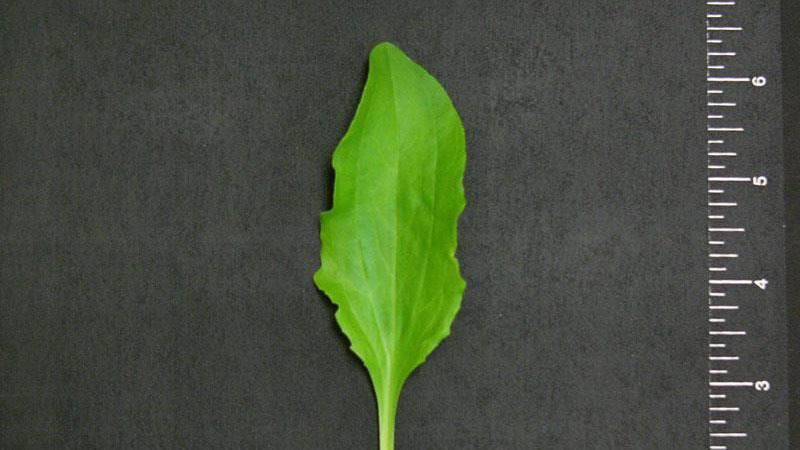 Broadleaf plantain leaf shape. Figure 10. 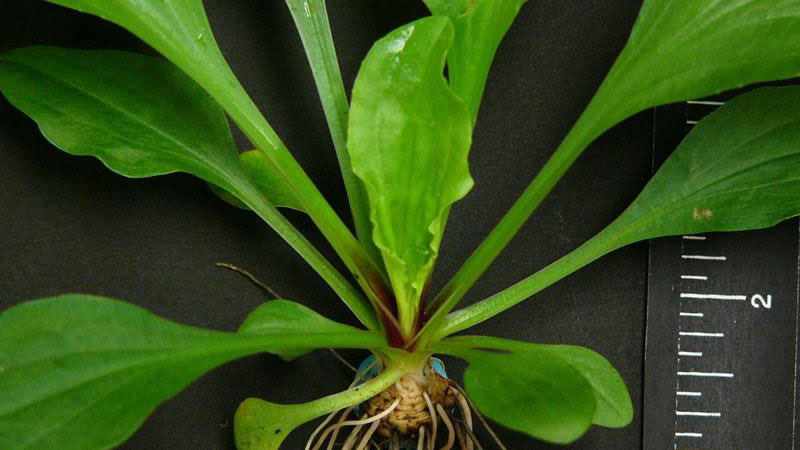 Broadleaf plantain leaf shape. Figure 11. 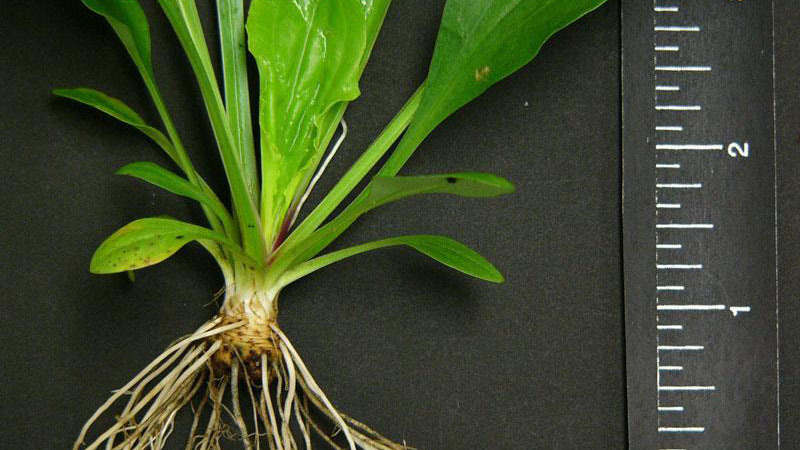 Broadleaf plantain root type.